For USTA membership codes - get our free email newsletter for the latest offers & promo! Note: For some membership renewals, you must be considered a "lapsed member" (not a current member). 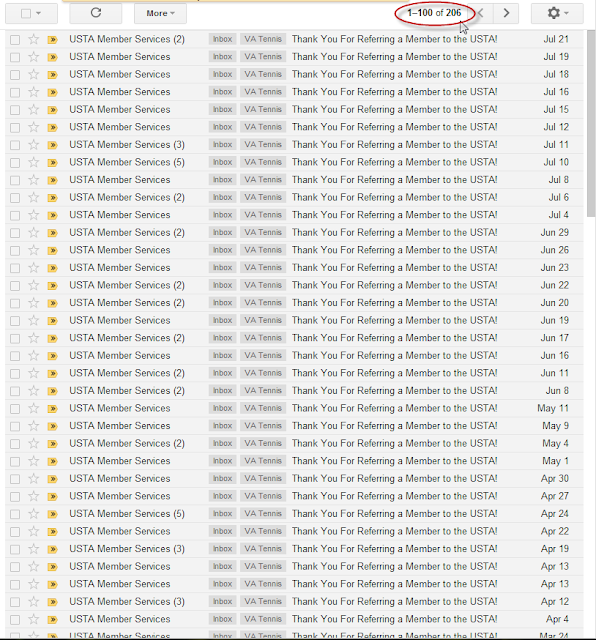 Therefore, you may need to let your USTA membership lapse for a few months before you can use the new code. Extra money saving tip - Get 30 extra days extended on your membership for free simply by joining USTA at the beginning of next month. If it is April 2018 and you wait to sign up on May 1st, your membership good until May 31st, 2019. Get an Extra 30 days for free! As of 2018, our goal is to get 1000 YouTube Subscribers. The Free Hat code will be listed. Please upvote and subscribe to our channel! This helps us continue to provide the latest USTA membership discount codes to our fans. 3) Enjoy the free 2018 USTA Member Performance Hat! Plus get access to limited seats for the 2018 US Open Tennis Tickets available today. Is the Annual Fee of $44 for USTA plus seasonal league fees too much? (available for both Singles and Doubles) - now just $5/month! *Limited time offer price plus get a $10 Tennis Express Gift Card when you sign up (that covers 2 months of tennis right there)*. Start or stop at any time. Here are more local tennis alternatives to play matches outside of USTA League seasons. Schedule tennis matches easily on your time and on your terms. More promo and discount codes are updated regularly on our Facebook Tennis Coupons Page! If you have a child 10 years old or younger, sign up for a free USTA Junior Membership for him/her with our promo code. These promo codes cycle quickly but we will update the information to our mailing list *first* and also link our Facebook Coupons Page. Please "Like" this article to share and bookmark the deal with your tennis friends. Plus this way you will get updated when the next code is announced on your Facebook wall! Get more from your $44...Sign up with us to get a Free 2018 US Open Hat with your new membership. Facebook LIKE this page to get notified when more promo codes come out! Remember to claim this free $15 OFF Coupon for US Open clothes with your new membership. US Open T-shirts, Hats and Towels and Tennis Balls make great gifts. Here are some of the other discounts and benefits you'll get by joining. Lastly, USTA actually puts your dues to good use - you'll be helping them build and maintain tennis courts all across America. I would strongly recommend you try it out if you're interested in getting into tennis! Post a comment below if this has helped you. We also support the Washington Tennis and Education Foundation. We believe that Education is the key to a brighter future. Tennis & chess offer after-school activities which can help inner-city kids develop their minds as well as their body. Through DC tennis tournaments, the Citi Open and other grassroots organizations, we hope to spread the joy of sports with our gift of tennis. For Tennis rackets, balls and other equipment for kids, there is a Tennis Express Coupons page with lots of great savings (and easily overlooked)! 3 or 5 year membership: Get a Free Gear Bag, Member Hat, Insulated Bag and Bottle Infuser. Simply add the promo codes provided when you Subscribe to our YouTube Channel and Email.